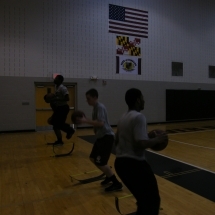 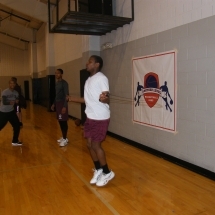 April 3, 2015 Another Level conducted a basketball camp for the young men who attend Silver Oak Academy in Keymar, Maryland. 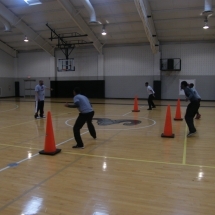 Silver Oak Academy is a residential high school operated by Rite of Passage (ROP) for up to 96 young men. 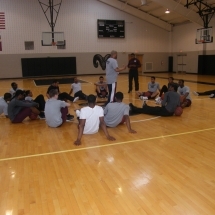 Coach James Wilson conducted the basketball camp in their state-of-the-art-facility assisted by highly trained, experienced staff members. 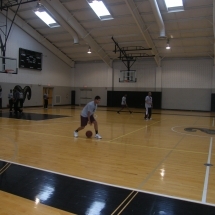 Each of the young men were introduced to highly intense conditioning, station drills, and skill development drills for over three hours that pushed them to their limits. 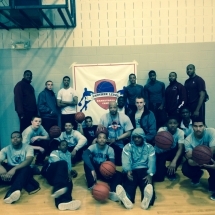 Each of the young men and staff members received a camp t-shirt and sports bag for their participation.